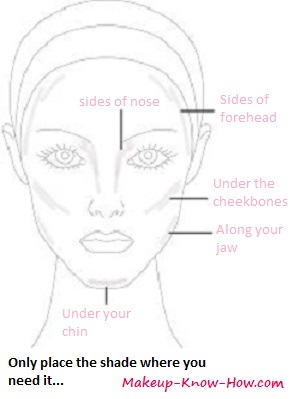 Contouring makeup is used to highlight and shade your face as if you're really working on a piece of art... You do this in a way that makes you look like you have the most perfect bone structure possible for you! What do you get at the end of all this? This is not something you should do everyday because oh the time! If there had to be a contouring makeup tv show, It’d be called “extreme makeuping”! It could also be called be considered a form of art really... It's probably why the whole industry is "makeup artistry"..
Well then it's just art:)... You'll be very proud of yourself when you're done! You can go wild and use the whole contouring makeup guide, or you can be more conservative and choose to keep it more simple. This is especially useful if you’re at either end of the complexion spectrum. 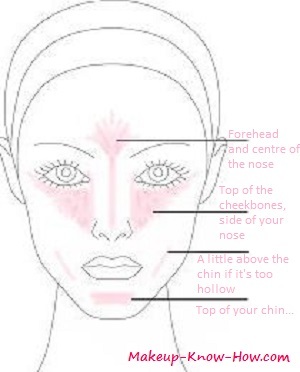 Start by applying a thin layer of foundation or tinted moisturizer that matches your skin all over your face. This is just to even out your skintone on areas with no highlight or shade. especially if you're not exactly a blending 'pro'. Blending means: blurring out the color of your makeup, so that no edges or lines are evident. It's the key to a natural looking finish. You do it in fluffy circular motions, or in little dabs and sweeps with a sponge. It's not complicated or difficult. If you think you've done enough blending, blend a little more than that, and you'll be good to go! Matte Foundation/Concealer 1 or 2 shades lighter than your skin. Then blend it out either with your sponge, or a big fluffy brush so that you end up with no dividing lines on your face. Follow up with some highlighter to make that area a lot more dynamic when it gets hit by light. Under the cheekbone from your ear. Stop in line line with your nose and middle of the eye. If the shade goes beyond that it tends to look unnatural. Then imagine an oval around your face, and shade anything beyond that oval. Shading is different for varying face shapes because ideally, you shade according to how you want your face to look. 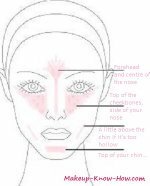 So for example, if you have a square face, and you want it look a little more oval, you’ll shade the sides of your forehead, and your jawline… If it's long, and you want to make it shorter, you'll shade the forehead, and under the chin. So really shade according to the face you have already..